Antique sewing machine - Little Wanzer treadle. 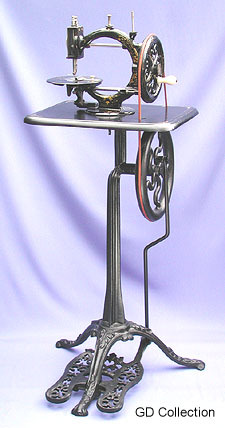 This elegant style of treadle was used by various manufacturers in the UK during the 1860s - 70s. The foot pedal on this example has the name "Little Wanzer" cast into it.